FRANKFURT, Germany (AP) — Daimler CEO Dieter Zetsche, who unwound a troubled merger with Chrysler Corporation and led the German automaker to a string of record profits, will hand off next year to Ola Kallenius, a longtime insider who heads vehicle development for the Mercedes-Benz brand. 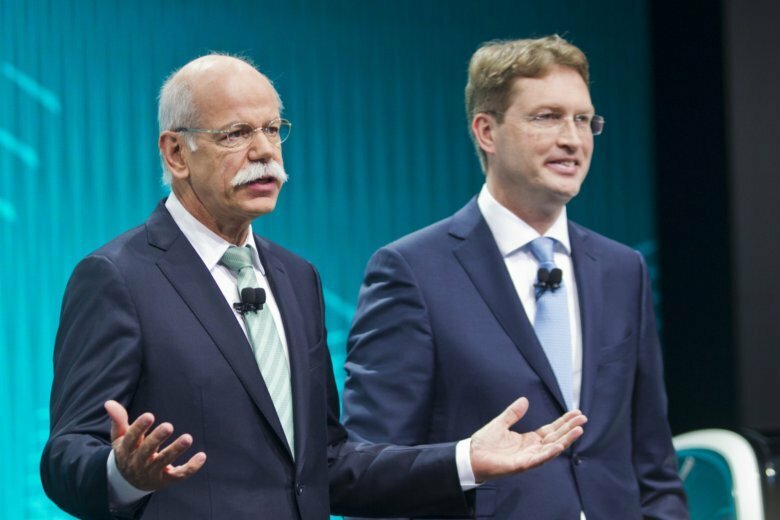 The Stuttgart-based company said Wednesday that the change will take place in May and that Zetsche, 65, would be nominated to become head of the board in 2021 after the term expires for the current chairman, Manfred Bischoff. Zetsche’s latest three-year contract was to end in December 2019 and Kallenius had figured prominently in speculation about who would succeed him. “In Ola Kallenius, we are appointing a recognized, internationally experienced and successful Daimler executive,” he said. The 49-year-old Kallenius, who was born in Vastervik, Sweden and still holds a Swedish passport, has headed group research and vehicle development for the key Mercedes-Benz luxury car division since the start of 2017. He worked as a manager in corporate controlling in Tuscaloosa, Alabama, in the 1990s. He is now slated to take over Zetsche’s dual mandate as both head of the entire company and the Mercedes division. The company also makes trucks and buses and provides financial services. Kallenius’ job is to be filled by Markus Schaefer, head of production and supply chain executive at Mercedes. Asked what Zetsche would do after Kallenius takes over, a company spokesman said only that Zetsche remains under contract until the end of 2019. He is also slated to take over as board chairman of travel group TUI on Oct. 1. His legacy includes leading Daimler out of its troubled 1998 merger with Chrysler, and subsequently racking up consecutive years of record sales and profits. The company also faces several headwinds, however. It is under scrutiny by the U.S. Justice Department and German authorities in connection with possible diesel emissions violations. And it issued a profit warning in June citing the U.S.-China trade dispute, which will hit some of its cars made in the U.S. and imported into China with new import taxes. The company is moving toward a strategic overhaul that would split Daimler into three divisions.